Years of study and practice in the Ayurvedic philosophy means we can offer guidance towards good life choices. Consultations are preferably face-to-face but we can also arrange Skype sessions for international students. How do I book an Ayurvedic consultation? Fill in the form on our contact page and give as much information as possible. We’ll be in touch from there. If you’re practicing Daily Ashtanga Yoga Mysore with us, speak to either Prem or Radha in the shala. Ayurveda is a Sanskrit word which means, ‘The Science and Wisdom of Life and Living’. The system brings the body into balance by harmonizing 10 sets of seemingly polarized attributes: hot/cold, light/heavy, sharp/dull, clear/cloudy, smooth/rough, dispersing/dense, fast/slow, soft/hard, moist/dry, and mobile/static. We each have a tendency to go one way or the other and the science of Ayurveda teaches us to recognize when we’re out of balance, what our patterns are, what’s good for us and what’s not so good for us. Guruji and Krishnamacharya were strong advocates of this art and science and were always stating the importance of understanding the principles. It’s a deeply individual approach to health and wellbeing that fundamentally compliments the Ashtanga Mysore style. Prescribing the right approach to lifestyle, diet and asana, based on your unique form and constitution. If you want to learn more about Ayurveda, you can book onto one of our courses, line up a 1-2-1 with us while you’re here, or over Skype. 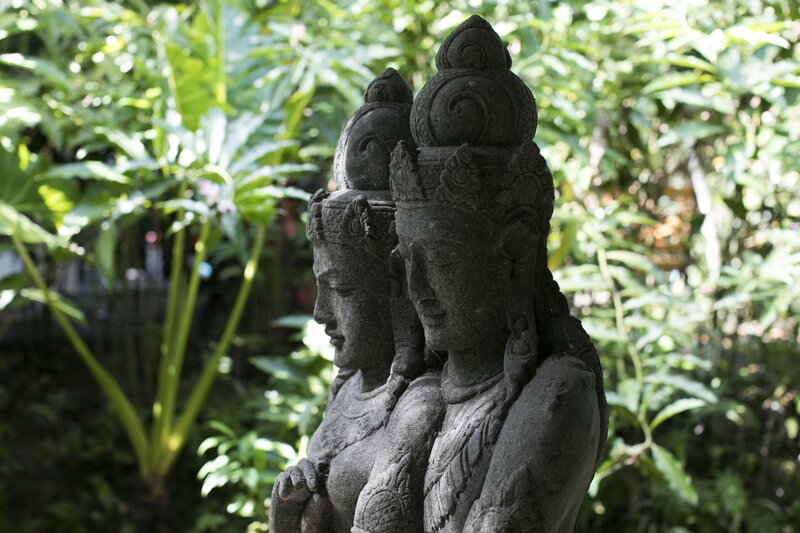 While in Ubud, we can point you in the direction of some Pancha Karma programs and work closely with you through that process. We regularly hold Ayurveda intensives and Ayurveda Lifestyle Cooking Classes at the shala. Fill in the form on our contact page or check the calendar to keep in touch about dates.